Hello, my name is Joseph Geddie and I am the artist and Photographer here at Geddie Images. 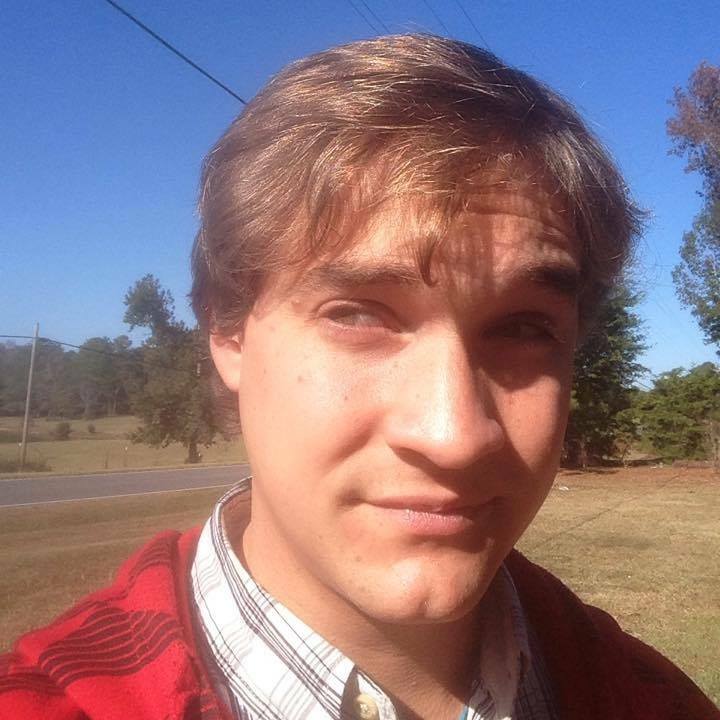 I am currently age 32 and live in Eclectic, Alabama. I attended Central Alabama Community College for three years. I have since 2008 then graduated. I am currently looking to continue my education perhaps with the aid of online classes but when that will be I am unsure of. My major consists of Graphic Design and my minor is Drafting. I have many years of experience in the retail business and I recently worked at Eclectic's Piggly Wiggly Cost Plus 10, I have for a total of 8 years and 1 year at Dollar General. I now work for myself. Artwork has always been one of my strong points, I have been drawing since the age of three, and I draw in a variety. Firstly, I specialize in drawing people, animals, and still life in the graphite media which is my favorite of all medias. I do occasionally focus on other media such as oil and acrylic paints, pastels, and colored pencil. To me black and white is just easier, you only have to worry about the shading and tones and not the color that you would with colored artwork. I also love the precision of a pencil, with a brush in my own opinion it is hard for me to get that sharpness and accuracy. Though I have my own opinions about other art medias I do show some interest in them. Secondly, I have experimented with oil paintings and I believe I would like to actually get into them more when I get a chance. I have done only a few paintings recently which were at CACC in art class. Oil paintings on the other hand do have a few advantages it is a little faster than graphite due to the wide variety of brushes you can use and that you can layer much easier. Lastly I have recently gotten into Photography and plan to continue to do so as a Freelance Photographer and that I can capture subjects to portray in my future Artworks. In Closing I will add more to this section as life continues and as my talent develops. Geddie Images is a small business that takes your favorite photos and turns them into a "one-of-a-kind" artwork. I solely work with graphite, produce quality artwork, and our prices are some of the best around. Check out some of our artwork examples in the "Artwork" Section of the site. Check the "Prices" Section for our paper and pricing information for we have some of the lowest and most reasonable prices available. If you have any questions be sure to check out the "Frequently Asked Questions" Section for answers to the most common questions asked here at Geddie Images. The site has been through many makeovers, and probably will continue to evolve as time goes by. I am an ameture at site making though I have learned a lot in the past 2 years on my own. I use a combination of Adobe Photoshop and Dreamweaver to continue the site's changes. To the left is an example of what the site looked like before any modifications were made, below I will tell you of the origins of the site. Geddie Images was created and officially uploaded on December 17, 2007. I created the site because I wanted a way to host my drawings and be more individual than with other art sites that host your art for a membership. I wanted to make my own notoriety solely by myself. 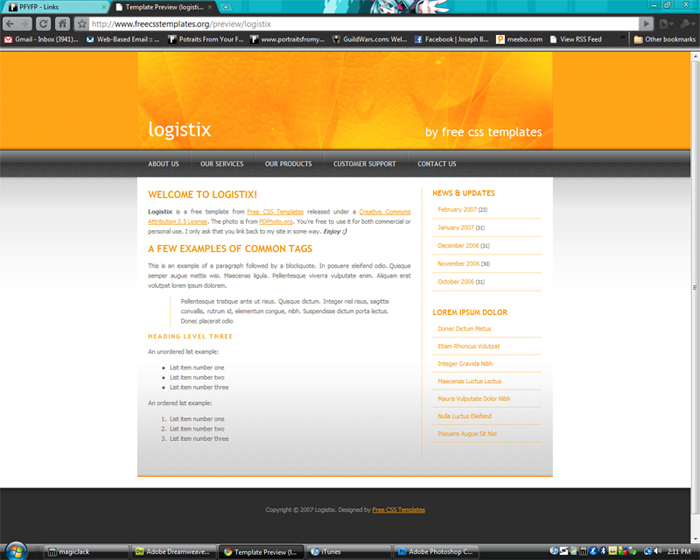 The site originally was a template called logistix, and is still hosted by http://www.freecsstemplates.org Making a site from a template seems to me to be one the easiest ways to start a site if you are looking for a little individuality. think it will continue to grow. I want to implement more features as well. I see my site as just a hobby in itself. I've learned that a website takes much time to develop if you are new to the concept and it also takes a while to get noticed. Just recently I have re-added the store to my site.